Chiang Kai-shek was the leader of the Nationalist government of China for many years, but he was also a Methodist of sorts. I read somewhere that he once baptized his soldiers en masse, using a fire hose. I'm not sure that story is true, but I like to think of all those Chinese soldiers who became Methodists. I'm sure it did them a world of good. Regardless of the truth of that story, I believe the Department of Education should adopt Chiang Kai-shek's fire-hose technique when designing a student-loan forgiveness program for all the people who attended one of institutions operated by Corinthian Colleges--which is now bankrupt. Chiang Kai-shek: Did he baptize his troops with a fire hose? The Department of Education is designing a process whereby students who attended a Corinthian campus can apply for loan forgiveness, which at least some of them are legally entitled to do due to Corinthian's shutdown. According to the New York Times, DOE estimates that 350,000 people attended one of the Corinthian campuses over the past five years. If all of them apply for loan forgiveness and receive debt relief, it will cost taxpayers $3.5 billion. 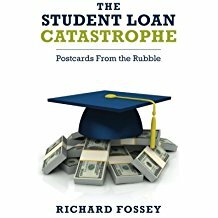 In the past, DOE has utilized a cumbersome loan-forgiveness process for students who attended colleges that closed, and DOE says that only 6 percent of students who were eligible for debt relief due to a college closure actually applied for that relief (as reported in the New York Times). Secretary of Education Arne Duncan promises a streamlined loan-forgiveness process for former Corinthian students. "We will make this process as easy as possible for them, including by considering claims in groups wherever possible" Duncan said. But why make Corinthian students jump through hoops to have their student loans forgiven--any hoops at all? Why not adopt Chiang Kai-shek's methods and forgive all those loans en masse? I agree with Luke Herrine, a member of the Debt Collective, who argued that all Corinthian students should be given "blanket relief." Why give blanket loan -forgiveness to former Corinthian students? First of all, the government is not going to get that money back anyway. In all likelihood, a majority of Corinthian students will either default on their loans or apply for economic-hardship status that will exempt them from making loan payments until they get on their feet financially, which for many Corinthian victims will be never. Second, the Department of Education is morally responsible for the mess it created by shoveling student-aid money to for-profit colleges that paid their executives lavish salaries while delivering substandard educational programs. A quarter of all student-aid money goes to for-profit colleges, which have the highest default rates. The for-profits have kept this shell game going by hiring lobbyists to represent their interests, employing lawyers to file lawsuits to stop DOE's regulatory efforts, and making campaign contributions to strategic members of Congress. In fact, Corinthian's bankruptcy filings lists its lobbyists as some of its creditors. No, DOE needs to spray all these students with a metaphorical fire hose, forgiving Corinthian's former students' loans through executive action. These unfortunate folk have been through enough. Duncan shouldn't make them fill out any more forms in order to rid themselves of student-loans they took out to attend one of Corinthian's colleges.